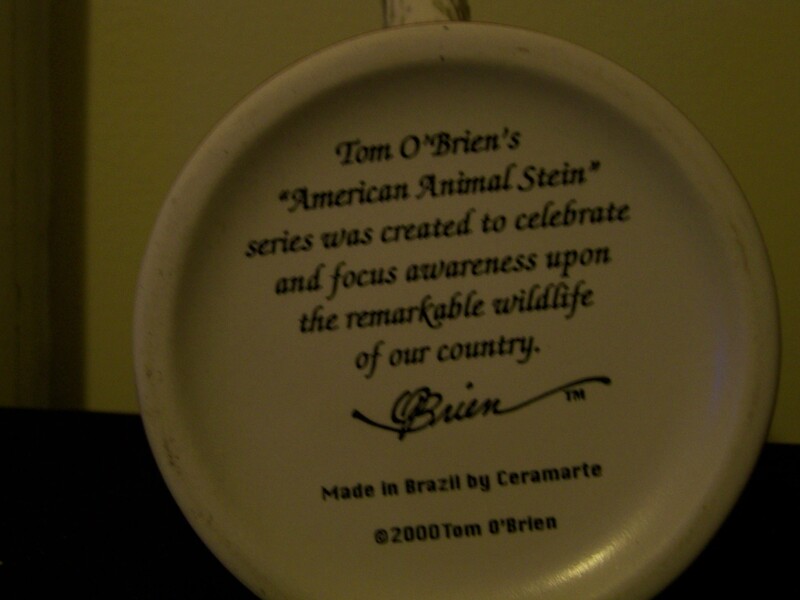 Theories and speculation into the origin of the magnificient porcelain figural steins with the # or Musterchutz stamp marks were not sustained until a lengthy article was originally published in three parts, in the September 1986, December 1986 and March 1987 issues of Prosit, the quarterly journal of Stein Collectors International. 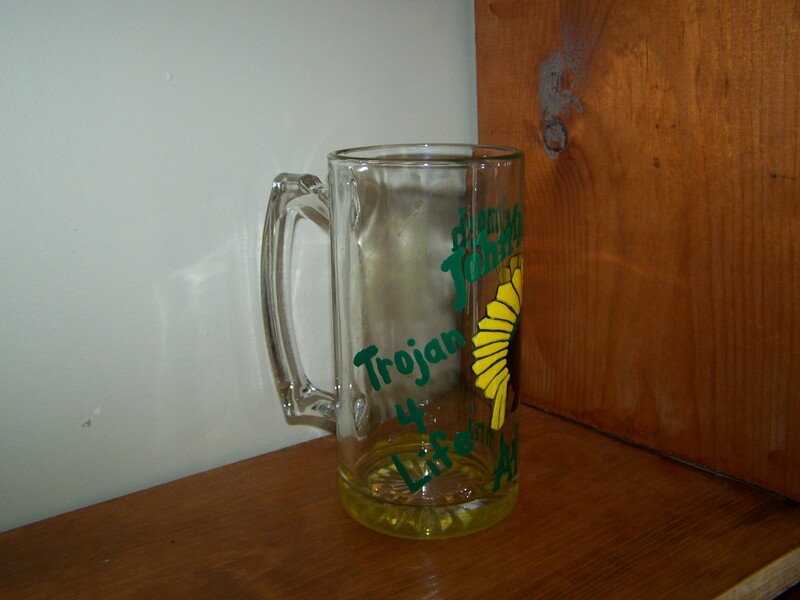 All three articles were authored by Ron Fox, recipient of SCI’s Master Steinologist award for his efforts in developing and sharing his broad knowledge of beer steins. 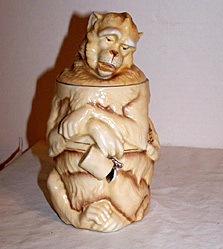 The word “Musterschutz”, usually in green is stamped onto the base over the glaze. This word simply means “copyrighted” or “patent-protected” and has absolutely no bearing on the manufacturer. 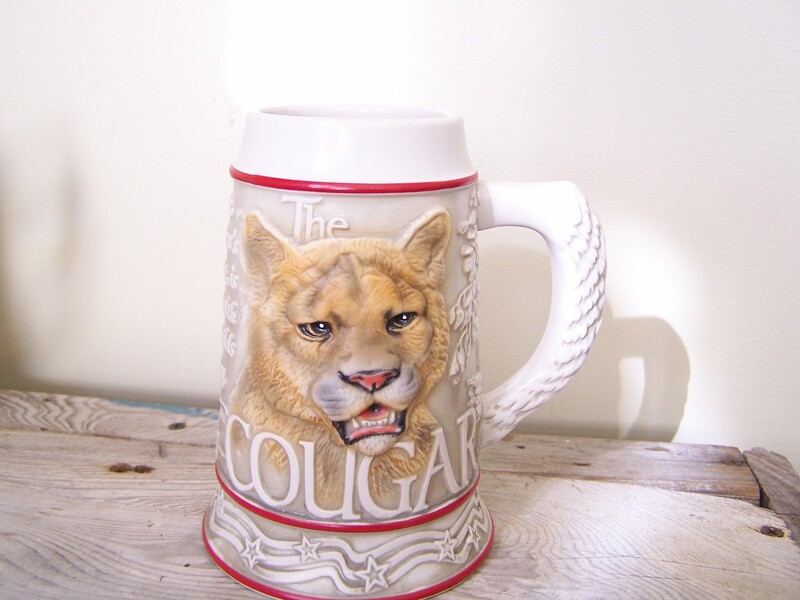 Collectors must now try to identify these fine character steins correctly and stop calling them “Musterschutz steins” – and properly refer to them as “Schierholz character steins”. 1817 : Dr. Heuäcker dies and Johann partners with Christian Gottfried Schierholz. That year the factory was granted an exclusive license for porcelain wares by the government of Schwarzburg-Sondehausen, which ruled the town of Plaue. These porcelain wares were manufactured for the pharmaceutical and chemical industries. 1818 : Johann Heuäcker leaves the partnership, leaving C.G. Schierholz as sole owner. 1884 : Modeler, Edmund Haase, joined the firm. He remained with them until his death in 1914. Haase had been trained as a sculptor at the Munich Academy of Art and he is believed to have been responsible for the design and modeling of the character steins. 1873 : Modeler, Oskar Sieder, joined the firm and worked with Haase to produce the majority of items in that product line. A number of different marks were used by this factory over the years. Their first trademark was officially used from the end of the 19th Century, but it was probably used occasionally on wares as far back as 1865. The “tic-tac-toe” or cross-hatch mark (#), which was underglazed in blue was their first mark. 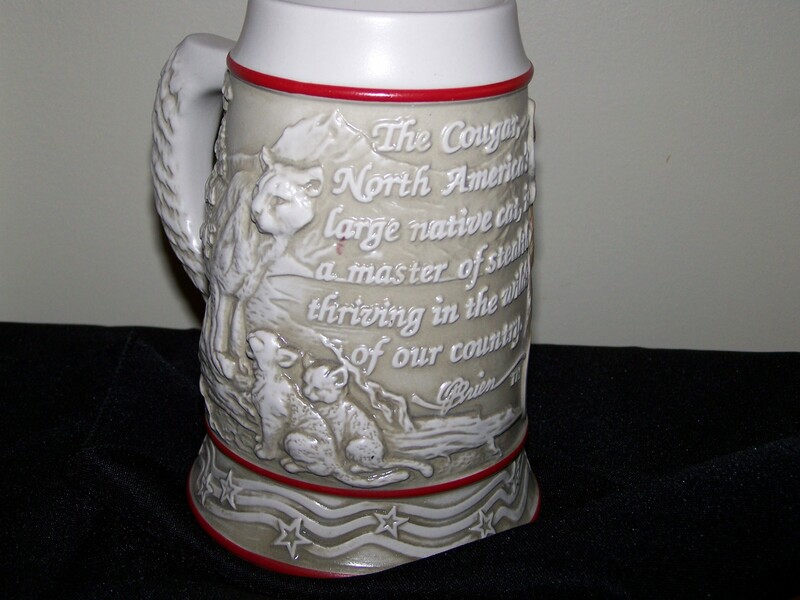 The American Animal Stein, a 3 – D, four stein series by Tom O’Brien features the COUGAR, WOLF, MUSTANG, and BALD EAGLE. 1855 : Founded the Miller Brewing Company at Plank Road Brewery. 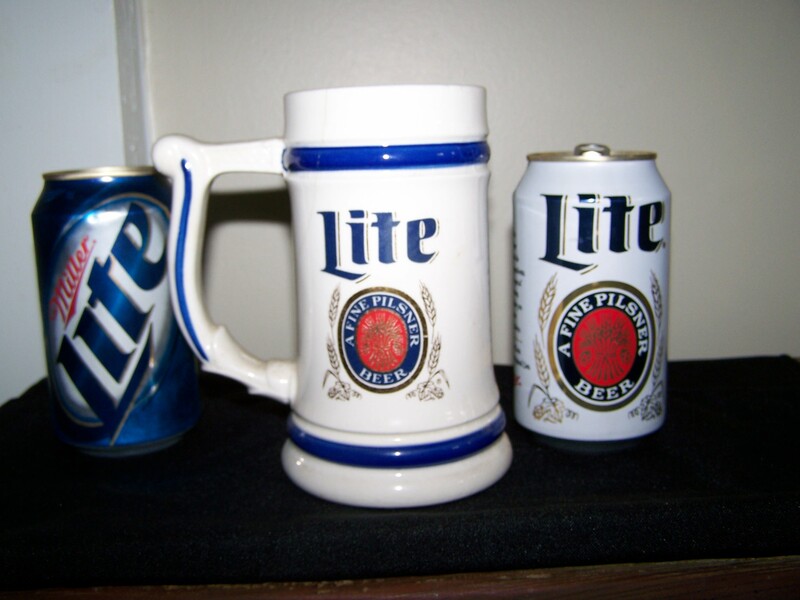 A German immigrant to the United States, Miller learned the brewing business in Sigmaringen, and his slogan, “Quality, Uncompromising and Unchanging”, became the vision and mission for his beer and company. 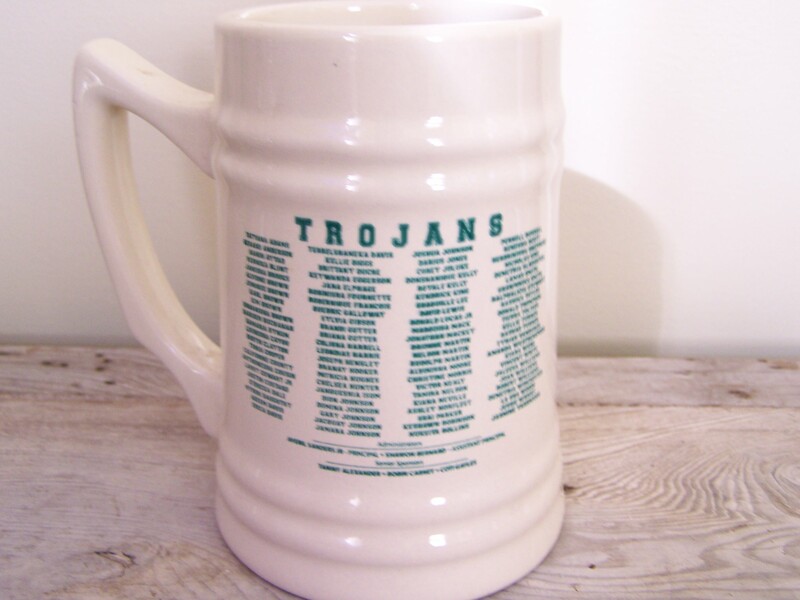 Local, tavern, 8 and 9 Ball pool players from across the United States of America received a souvenir tankard along with their tournament eligibility upon payment of a $ 9.00 entry fee. 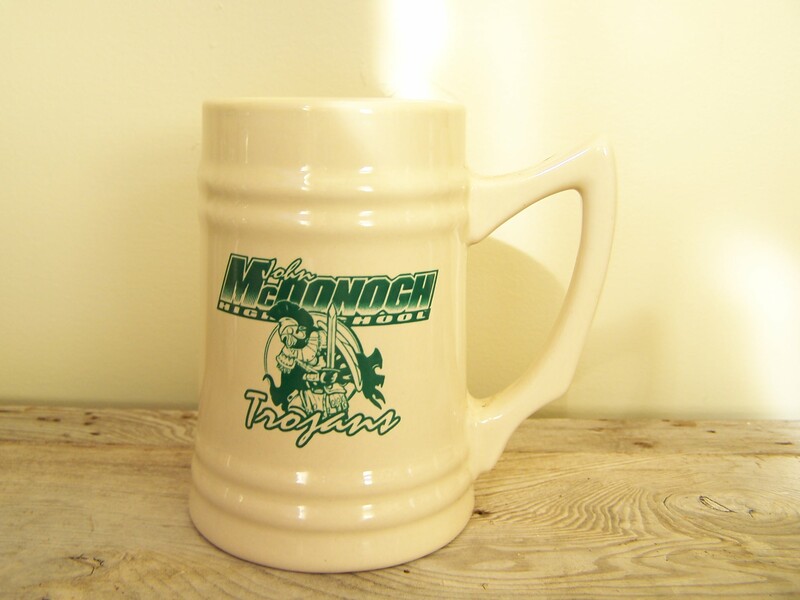 This heavy, hand painted tankard is a wonderful gift from a wonderful friend. It is a great addition to the B.L.A.S.T. 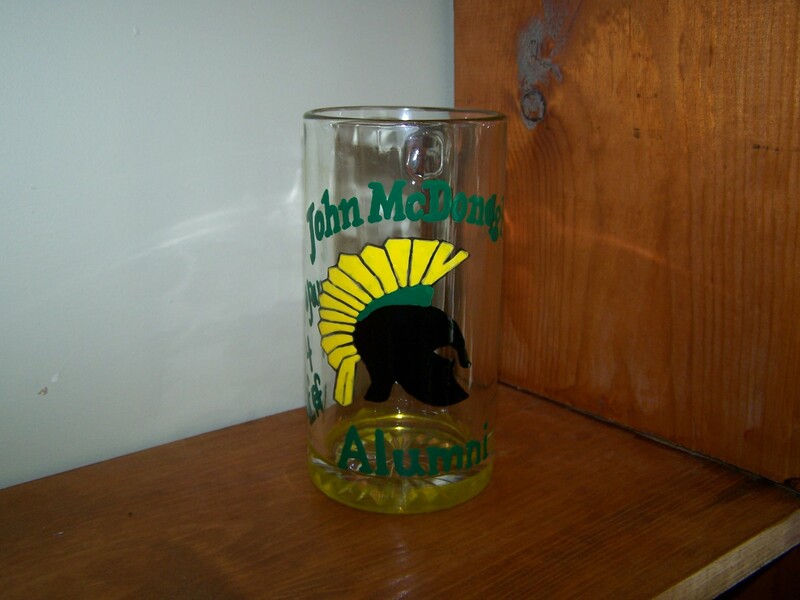 Museum Tankard and Stein Collection and highlights the new installation, the John McDonogh SrHS Alumni Collection. 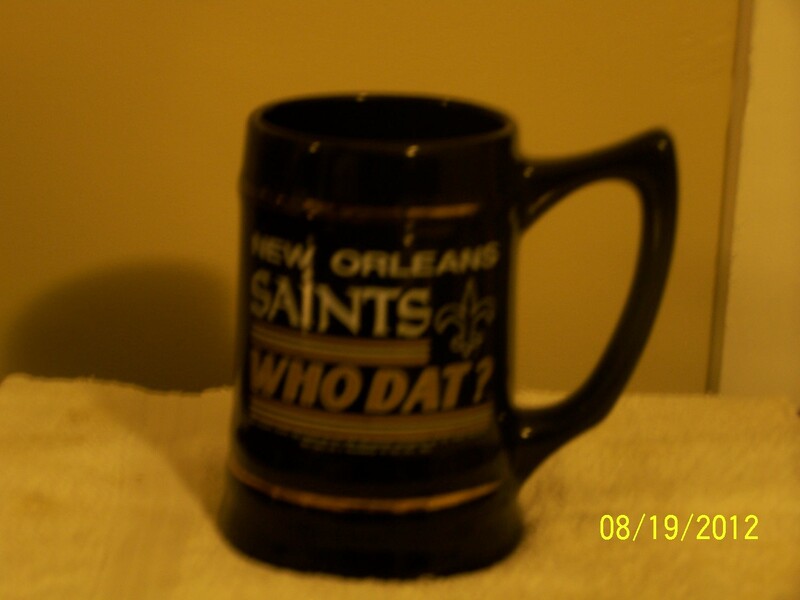 Founded in 1967, the New Orleans Saints, a professional American football franchise is based in New Orleans, Louisiana. The Saints are owned by Tom and Rita Benson The team is a member of the National Football Conference, South Division of the National Football League. The Saints sport a simple FLEUR-DE-LIS team logo and suit up inwhite trimmed BLACK AND GOLD uniforms. 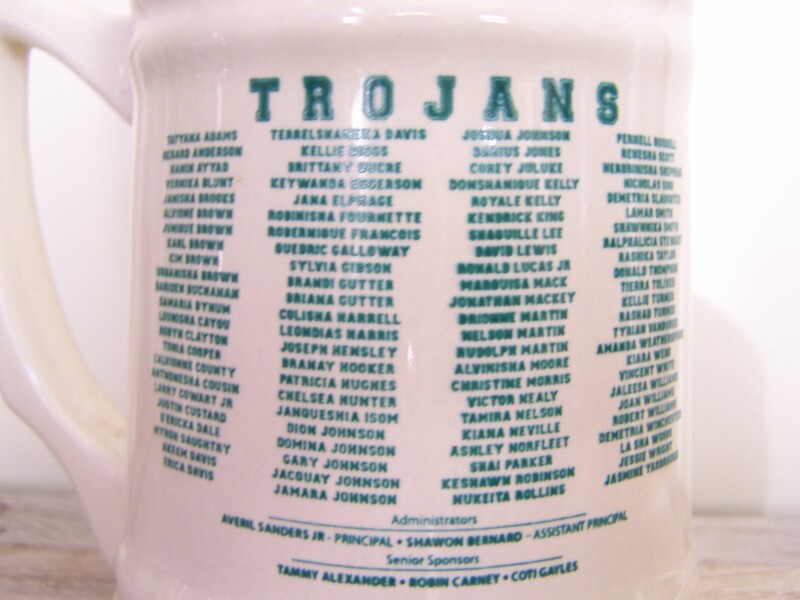 Upon league induction home games were played in Tulane Stadium until 1974. The Mercedes- Benz Superdome in New Orleans is the current home arena of the team. The Saints have two mascots, Gumbo, the St.Bernard dog and the giant puppet, Mr. Saint. In 2009, the Saints had a winning record of 13 – 3 and won the National Football League Super Bowl Championship. When excited, Saints fans cheer with a roar of “Who Dat ! 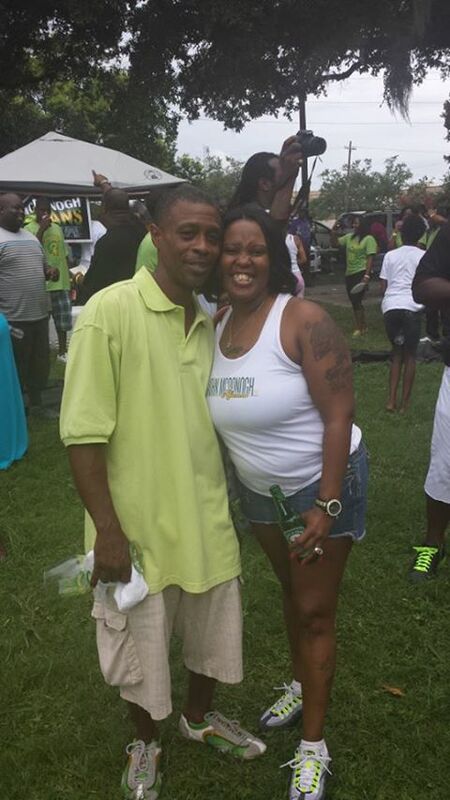 ”, which is a short version of their repeated chant … Who Dat! Who Dat, Say Dey Gonna Beat Dem Saints ! Who Dat ! Who Dat !